All SERRANO REPLAT homes currently listed for sale in Gilbert as of 04/19/2019 are shown below. You can change the search criteria at any time by pressing the 'Change Search' button below. 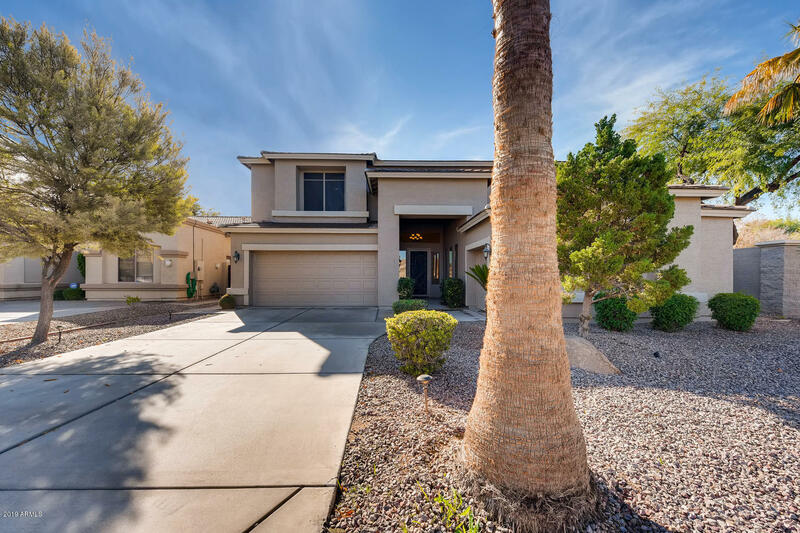 "LARGE FAMILY HOME NOW AVAILABLE IN DESIRABLE GILBERT LOCATION, CLOSE TO SHOPPING, ENTERTAINMENT, RESTAURANTS, GILBERT MERCY HOSPITAL, AND THE 202 FREEWAY. QUIET WELL MAINTAINED NEIGHBORHOOD WITHIN A SHORT WALK TO THE MAILBOXES, AND EASY ACCESS TO LINDSAY RD. THIS 3425 SQUARE FOOT HOME FEATURES 5 BEDROOMS, 3.5 BATHROOMS,SECURITY DOOR FRONT AND BACK,GRANITE TILE COUNTER-TOPS, STAINLESS STEEL APPLIANCES, REFRIDGERATOR,WASHER AND DRIER TO CONVEY.LARGER SECONDARY BEDROOMS, AND A LARGE LOFT WITH VIEWS"